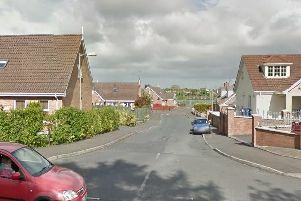 Detectives investigating the death of a 15-year-old girl in the Portadown area on Saturday evening have arrested a third person. A PSNI spokesman said a 15-year-old male was detained this afternoon and remains in custody assisting police with their inquiries. The arrest comes after the death of schoolgirl Caitlin Shortland. She died in Craigavon Hospital after being found unconscious near Portadown's Corcrain estate on Saturday evening. The exact cause of death is not yet known. However police have said a possible link to drugs is one line of inquiry into the Craigavon Senior High School pupil's death. Detectives continue to appeal for information and to warn the community of the dangers of drugs. Police can be contacted on the non-emergency number 101.